You’re probably looking for the best blender on the market. We’ll we’re here to make that search a little bit easier. A blender is probably one of the most versatile and fun to use pieces of kitchen equipment to have. They are staple appliances for health enthusiasts, busy folks, and people that enjoy cooking. With a blender, the possibilities are quite endless. You can make delicious smoothies for breakfast, protein shakes, pancake batters, salad dressings, the list goes on. With all the makes and models available, sometimes it’s hard to pick out a good blender. Below we have reviewed 5 popular blender models to make your choice easier. This blender has been touted as “the blender with the brain”. The Designer 725 by Blendtec is truly in a league of its own with its SmartBlend Technology and 100-speed touch slider. With its signature “SmartBlend Technology”, it notifies users when there are potential issues with the blender and provides instructions on how to fix them. While most blenders offer 5 blending speeds, maybe 10, this one allows you to choose from 100 speeds! This function is operated by a touch slider on the machine. While this is a great blender it does comes with a pretty hefty price tag. Although, the good news is that it does come with an 8 year warranty. 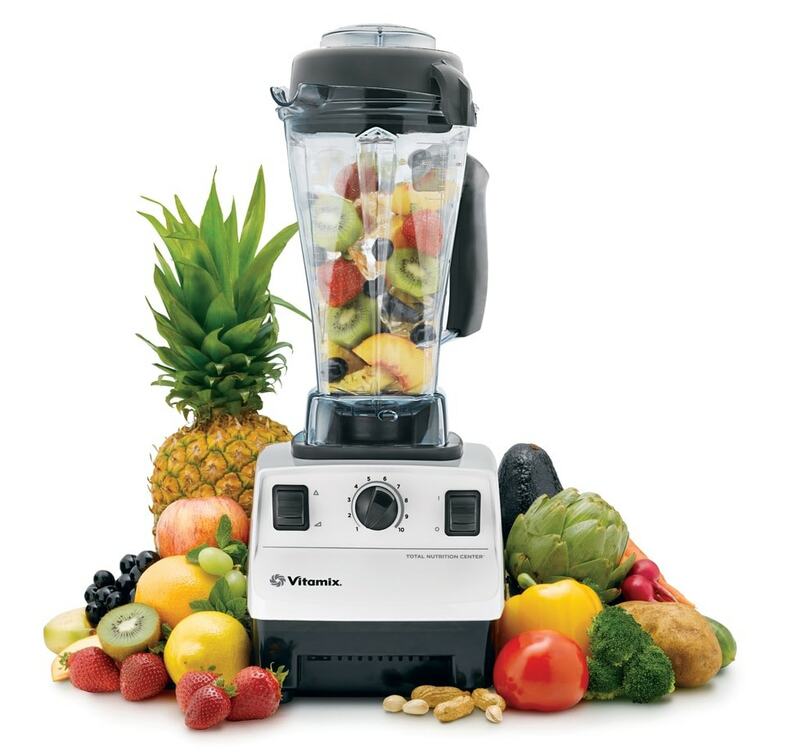 The Vitamix brand is a rather popular one amongst health enthusiasts and considered to be a great investment. 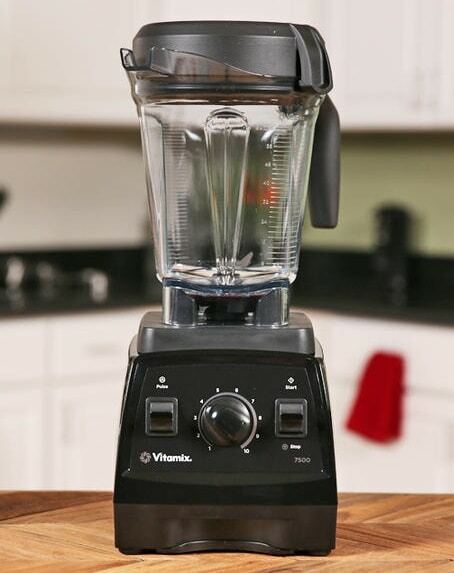 The Vitamix 7500 Model comes with a short, stocky container that’s able to hold up to 64 oz. of liquid. This blender is designed for household use. While this blender lacks a few bells and whistles that come with the BlendTec, the price tag is slighly cheaper with a 7 year warranty. It also comes with a DVD, cookbook and a “Getting Started Guide”. The Vitamix brand is highly popular amongst consumers for household use. It has received many positive reviews and feedback on online marketplaces, such as Amazon.com. 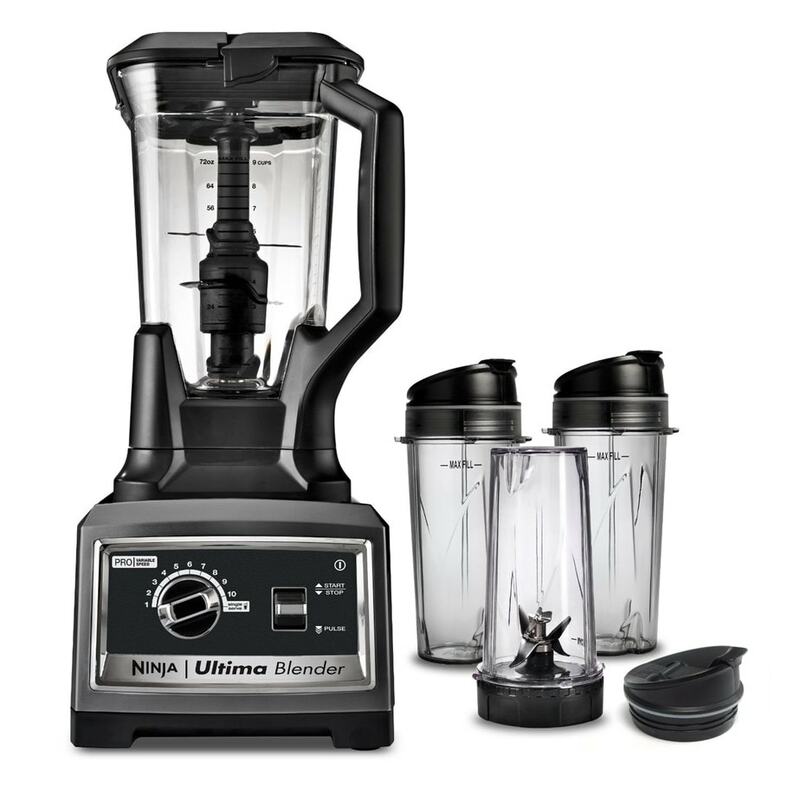 The Ninja brand strives to provide high quality blenders, such as their Vitamix and BlendTec competitors, at cheaper prices. Their Ultima line is on the higher end of their product selection. The Ultima BL830 is touted to have “pro-variable speed” that can gently blend or perform “Total Crushing”. It also claims to extract nutrients and vitamins from produce. Accessories include 3 Nutri Ninja Cups and an “Inspiration Guide” for recipes, and a 5 year warranty. 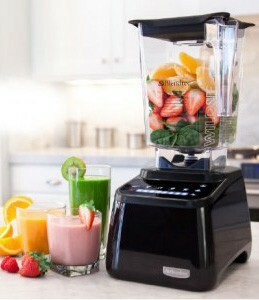 The Vitamix 5200 model comes with a 64 oz. pitcher and is ideal for medium to large batches. It is also longer in length, in comparison to its sister product the Vitamix 7500. Its patented design is claimed to have enough precision and power to pulverize small seeds. The heat generated from the motor can also warm cold ingredients within 6 minutes. The Breville Hemisphere has features similar to the BlendTec, but has the price tag of the Ninja. This blender is constructed with central blades for maximum crushing and chopping of even the toughest ingredients, like ice cubes. This is a 750 watt blender with an LCD timer and pre-programmed blending to create smoothies or pulverize ice cubes without needed help. It self-alters blending speeds to create the perfect consistency. The front of the blender has illuminated buttons for 5 different speed controls, and a pulse function. The RPM speed stays consistant to ensure the texture of the ingredients after blending. It can perform food processing functions as well. The pitcher is made of BPA-free material and can hold up to 48 oz. of liquid. The pitcher is especially designed to minimize food entrapment and for easy clean up. Although it is a higher end product for Breville, it is a bit more basic in comparison to the other blenders mentioned. While all blenders are certainly higher quality in comparison to other less expensive brands, the BlendTec Designer Series 725 is our pick. A bit more on the pricier end, this blender provides the most comprehensive performance. 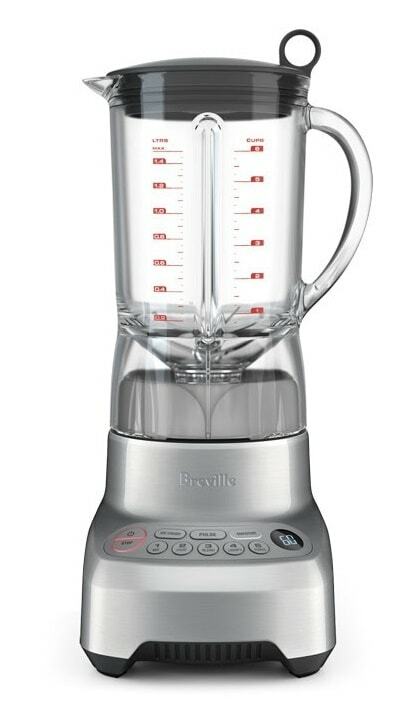 The high horsepower speed in conjunction with the capacitive interface makes this blender a true one of a kind. Not to mention, it is self cleaning. This saves time and effort so you can proceed with your day. This blender could be for household use and commercial. You can also check out even more blenders below, or right here.